A huge thank you to the Cardinal Pride PTO for providing our students with the opportunity to attend Pinkalicious at the Eau Claire Children's Theatre earlier this year. 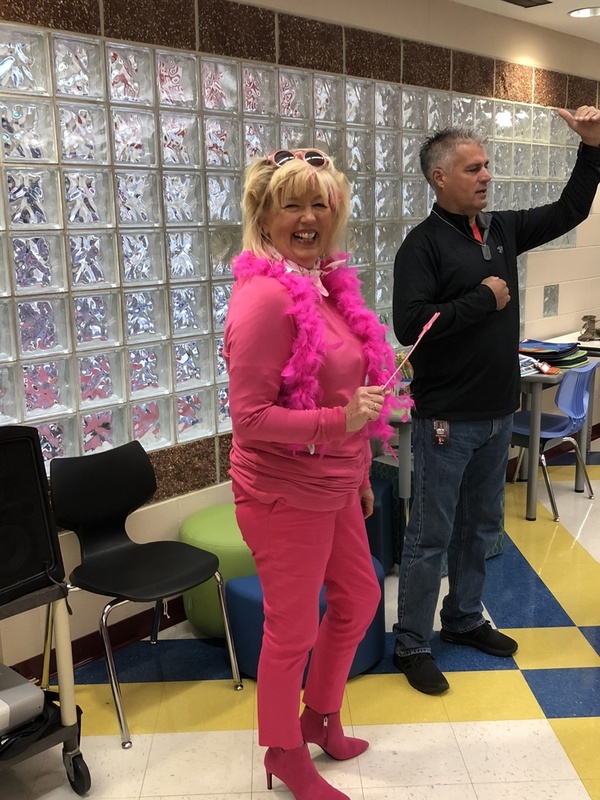 One of the best parts is that it is contagious and Mrs. McSorley was infected from head to toe, literally, and was all out Pink for our Friday morning meeting! What a great sport and inspiration for our students and staff.